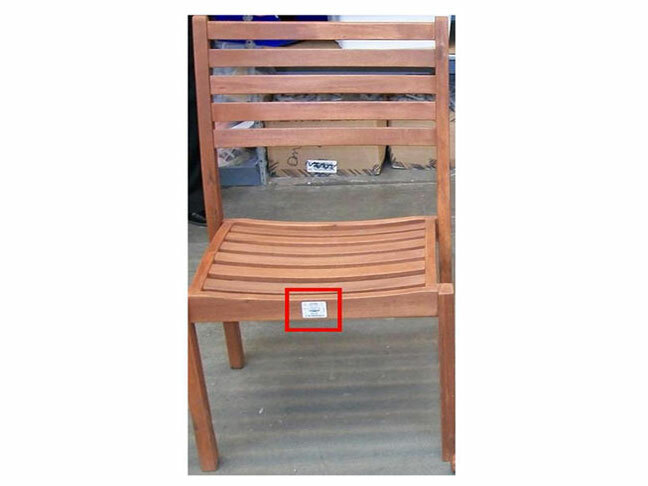 On July 22nd, 2011, the U.S. Consumer Product Safety Commission, in cooperation with Ross Stores, Inc, announced a voluntary recall of their acacia wood chairs due to a fall hazard. The chair can collapse when weight is placed on it, posing a fall hazard to consumers. As of July 22nd, 2011, Ross has received five reports of the chair collapsing and four minor injuries were reported. About 1,200 of these recalled chairs were sold at Ross Stores nationwide between March 2011 and May 2011 for about $40. The recalled chairs have a natural finish made of acacia wood with SKU number 400058432585 or 400058432608 printed on the price tag. The price tag is white and located on the front of the seat’s chair. There are no other markings on the chair. Consumers should immediately stop using these chairs and return them to any Ross Store for a full refund. For additional information, contact Ross at (877) 455-7677 anytime or visit the Ross Store’s website. Additional information can also be found at the CPSC website. Consumers should also be aware that it is illegal to resell or attempt to resell a recalled consumer product.